During Margaret's year as Musician in Residence at Sabhal Mòr Ostaig, where she undertook some research on the Gaelic Songs of War & Conflict, she was invited to research, record and produce Gaelic song material for audio visual displays at the newly refurbished Highlanders Museum at Fort George. The material was to be relevant to the regiments based at Fort George through the ages, such as the Lovat Scouts, the Cameron Highlanders and the Seaforth Highlanders. The Fort was built as the main garrison fortress in the Highlands following the massacre on Culloden battlefield in 1746. It's purpose was to help quell further Highland rebellion. It later acted as a recruitment base and training camp for the rapidly expanding British Army, with thousands of young Highland men passing through it's gates to fight for the British Empire across the globe. Between 1881 and 1964 the fort served as the depot of the Seaforth Highlanders. The regimental museum of the Highlanders (Seaforths & Camerons) is based there. 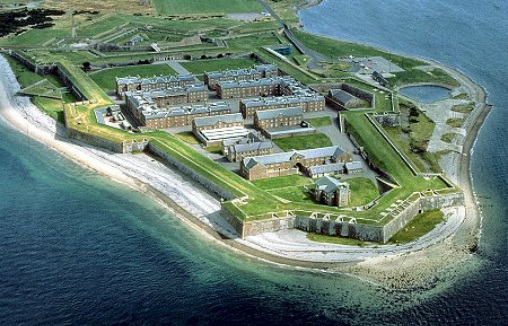 Fort George is the only property in the care of Historic Scotland still serving its original purpose. The museum, which is only a few miles from Margaret's home in Nairn, was officially opened by HRH The Duke of Edinburgh in 2013 and the recordings, which are now part of the new audio-visual displays at Fort George, include some of Margaret's own material, archive material from the School of Scottish Studies and specially recorded songs by the renowed traditional singer Murdo MacDonald from the Isle-of-Lewis.